Have you ever wondered why you have a running toilet? Firstly, it is important that you acknowledge the fact that every hand made device is always bound to break and this is no exception with your toilet. Therefore, in case you realize that your toilet is running, you should never be worried at all; instead, simply take some time and figure out why is running out, and then consider repairing it. For you establish the main cause of the problem in your toilet, it is paramount to remove the top tank of the toilet and place on a secure location. Try pushing the toilet’s flush lever and examines what happens. On many occasions, one will be in agreement with the fact that one of the reasons why the toilet runs is simply because one or all of the following has/have problems. 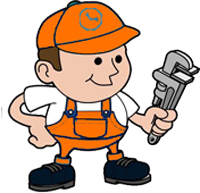 There are complicated aspects in the toilet repair that inexperienced cannot handle. Therefore, consider hiring experienced personnel first. Another tip for fixing the running problem is through adjusting the float and valve. By using your hands, you can pulp up the float. If the action stops the water flow, it is advisable to adjust the float level in order for the tank to stop filling having attained the required amount of water flow, slightly below overflow tube top. Finally, ensure that the flapper is well cleaned to prevent a repeat of the running. Dirty flappers have always been blamed for the leaking of the toilets. This should then be followed by troubleshooting any other problem in your toilet in order to function normally.